The Army program designed to aid leaders and sponsors during the relocation of their personnel will be held at U.S. Army Garrison Bavaria March 14. GRAFENWOEHR, Germany — U.S. Army Garrison Bavaria hosts its annual Total Army Sponsorship Rodeo, March 14, 9 a.m. to 3 p.m., at the Rose Barracks Multi-Purpose Complex, Bldg. 134, in Vilseck. USAG Bavaria’s Directorate of Human Resources conducts the TASP rodeo to aid leaders and sponsors during the relocation of their personnel. “The intent of the TASP rodeo is to increase readiness by aiding leaders and sponsors to support newly assigned personnel moving from one installation to another,” said, Earl Mallard, event organizer and military personnel specialist. The military personnel division provide a command sponsorship checklist for sponsorship for all newly arrived personnel. “The community has adopted a rodeo theme. Commonly referred to in the military community as a ‘Round Robin.’” said Mallard. 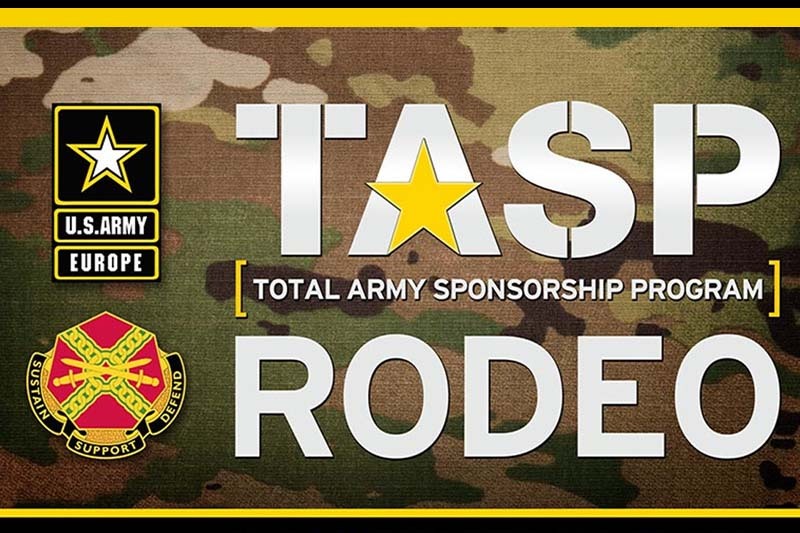 The rodeo will also cover the use of the Army Career Tracker Sponsorship Module to request and track sponsorship for all military personnel in grades of E-1 to O-6.